Only a few hours now until the first proper competitive match of the Holmes/Connelly era gets underway, with a tasty League Division One opener against Kerry down in Killarney. Hopefully those of you who made it down there yesterday aren’t suffering too much from last night and that everyone else travelling down this morning arrives without incident. With both sides having named teams comprising a mixture of established first fifteen lads and a fair few fringe players, it’s difficult to know how today’s contest will go. From our perspective, it’s good to see that Noel and Pat are willing to experiment – it would have been easy for them to come up with a more cautious selection today, one perhaps focused solely on claiming the two League points on offer, but trying different players and new formations will be vital preparation for the bigger tests that lie ahead over the summer. The early rounds of the League are always a bit of a balancing act. While it can feel great to be kings of the hill in early spring, a runs of wins that comes at the expense of trying things out with an eye to the summer doesn’t make a whole pile of sense. Remember 2010? That’s not to say that we shouldn’t be aiming to see the lads get off the mark today. Despite all the experimentation, we’re fielding a strong enough side at Fitzgerald Stadium today, one that has every chance of claiming the two League points on offer. It is, though, worth bearing in mind that this is all today’s encounter is about. Avenging Limerick and all that isn’t on the menu this afternoon. There are two housekeeping things which I might bring to your attention in advance of the match, as both will be relevant after the final whistle sounds at Killarney later on. The first relates to the house rules and, in particular, the rules that apply in the 48-hour post-match window. Full details on the rules are here but the short version dealing with the immediate post-match period is that any criticism voiced about any particular player needs to relate to specific incidents in today’s game, not some pre-cooked prejudices about the player in question. Likewise, should we lose (and I’d be hopeful we won’t), weak-willed moaning comments about the sun never rising again due to the defeat aren’t the kind that will get a rousing post-match welcome here. The second is that the return to competitive action will also mean the return of the Man of the Match poll, where you’ll get the chance to vote on which Mayo player impressed you the most in today’s game. I’ll put the poll up right after the final whistle and voting will then remain open for 24 hours or so, with our first MOTM award for 2015 announced tomorrow night. Right, enough yap – time for action down south. 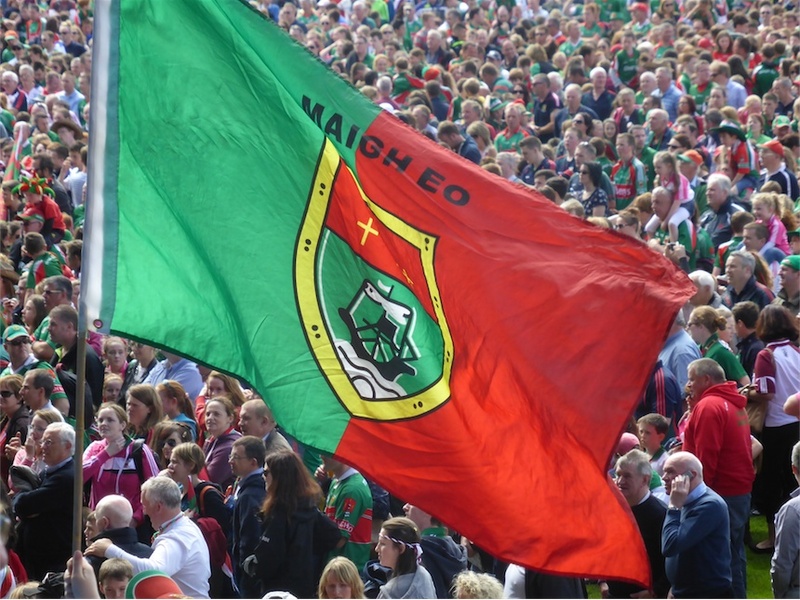 Best of luck to Noel and Pat, and to Keith and the lads, as another year of #mayogaa action gets underway. Here’s hoping it’ll be a positive start to 2015 for all of them. Amen to all that WJ. On a bus approaching Tuam, roads are treacherous. Careful driving all. Ah it’s great to be back on the road following these great Mayo warriors. A beautiful frosty morning here in Killarney. A few Mayo heads up and about, all with anxious anticipation. I hope what we have some strong vocal support for this fixture, letting the lads and the new management structure know that we are 100% behind them. Looking forward also to the new jersey zooming around the pitch, think it will add a new edge and open the new era that will end with the holy grail! Driving down from Galway with 2 of the brothers not really knowing what to expect but hoping for the best. Winning would be a great start to the year but does not rate on the revenge scale. That wll wait until later in the year. Hon the black and luminous green. Bit of a mouthful! All the expects are tipping kerry I am hoping for a good performance today by the way I wonder is snowy down in the kingdom. Kerry look sharper but we are winning by 6 points. or am I seeing things? hope evan regan is ok, it looked like a bad fall. Early but seemed like different tactics. No defender had a shot in the game. Most pleasing thing was we didn’t look like conceding a goal. Looks like we need to tog more physical forwards. Could beba bit smarter about not going into contact. Goal getter specialists Freezer/McGloughlin are game breakers for us. AOS turned the tide when he came on. Vaughan popped up all over the pitch. Overall very happy with that. Wishing recovery to Evan Regan. He went in very bravely for that ball. It was a nasty fall alright for E Regan hopefully its not as serious as it looked. Great performance albeit Kerry were well off the mark. Delighted for Kevin Keane getting Man of the Match he was constantly out off his line attacking the ball, and showed real aggression. Nice spread of scorers as well I maybe wrong but no score came from anyone in our backline this must be the first to happen for a long time, and kept a clean sheet not the usual script we follow, all good however. Thought Chris Barret played well at center, plenty to pick from, Jason Doherty had a great game seemed to pick up from where he left off from last season. Great to get the win in Kerry and pick up two points, the sooner we pick up the points to secure Division 1 status the more experimentation H&C can do. I don’t think a defender had a shot. Must be a first.